In the wee hours of September 18, 2017 a white male suspect burglarized Advanced Homecare, located at 105 Jack White Drive in Kingsport. 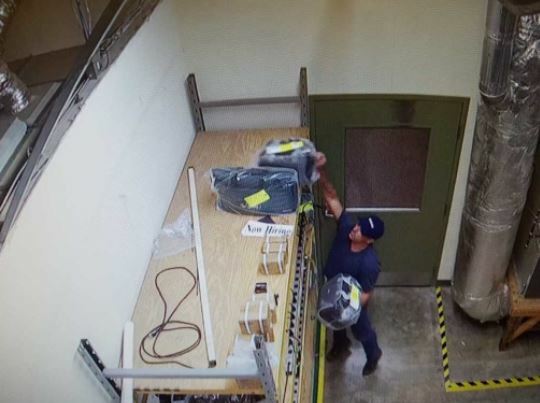 Over $40,000 in medical equipment was reportedly stolen during the burglary. Anyone who recognizes this man is asked to contact Detectives in the K.P.D. Criminal Investigations Division by calling 423-229-9429 or call Kingsport Central Dispatch at 423-246-9111.